During ITB Berlin, the world’s largest travel show, Rick Calvert (TBEX CEO) and Mary Jo Manzanares (TBEX Conference Director) were interviewed by Gary Bembridge for the Travel Bloggers Podcast. 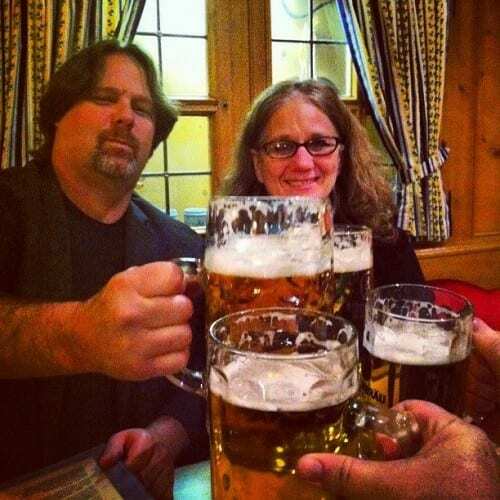 In the interview Rick and Mary Jo spoke candidly about the history of TBEX, the conferences, and what bloggers attending TBEX in Toronto and Dublin this year can expect. They also discussed what travel bloggers need to be doing to be better bloggers – a discussion that is very topical as it builds on Rick’s provocative analysis of the state of travel blogging that had just been posted the day before the interview. You can listen to Rick and Mary Jo talking about TBEX, the current state of travel blogging and their vision of the future online using the player below, or using this link. The objectives and format of a TBEX Conference, including the pre-event, 3 main content streams at the event (content creation, content distribution and monetizing) and post event activities. Including more details of the next North American (Toronto) and European (Dublin) events. (From 4 minutes in). Their view on what bloggers need to be focused on to be better and more successful (From 12 minutes in). You can also subscribe for free to the Travel Bloggers Podcast on iTunes or via RSS feed in your favourite podcast app to hear this and future episodes. Guest Post Author Bio: Gary Bembridge has been podcasting and blogging at Tips For Travellers since 2005. He launched the Travel Bloggers Podcast to help travel bloggers and writers to be a more valued and trusted resource for travellers, and so more attractive to travel brands looking to reach their audiences. Very inspiring! I can’t wait to experience tbex in dublin even more now. Agree. It was a great chat and lots of good insights. I too am really looking forward to TBEX Toronto as a lot of good sessions – and some good hard discussions about blogging. Hope to meet you there! Thanks so much for this very interesting and informative talk, Gary, Rick and Mary Jo. I will attend TBEX Toronto in June, and am really looking forward to it. Glad you enjoyed. Hope to meet you at TBEX at end of the month. Thank you for the kind words Ann and Monika 8). Looking forward to seeing you both soon.